« Day 166.5 in Beijing: Waiting for…R2D2? 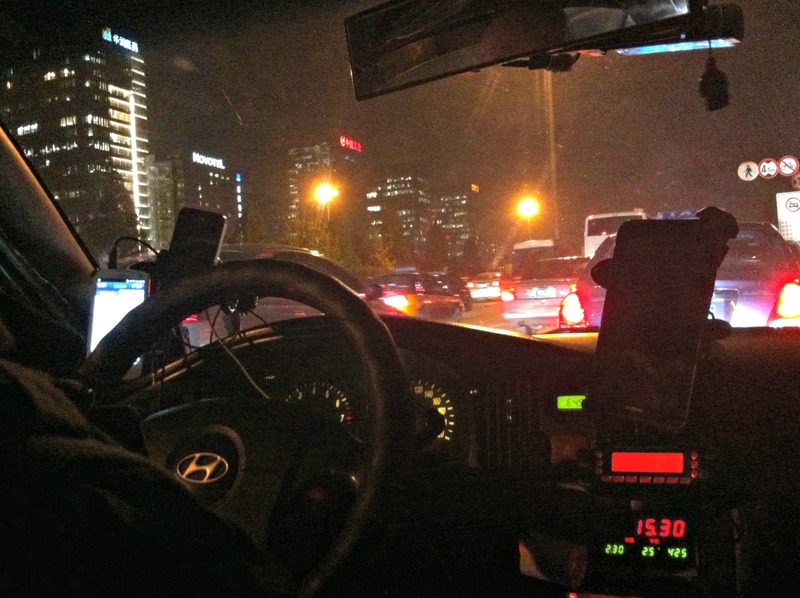 Day 167 in Beijing: A Very Well Connected Cab. He is ready for the zombie apocalypse, obviously. I take a cab back and forth to work each day. I used to take the subway but I decided to take cabs for the peace of mind and ease of it instead of trying to crush into the subway and rush with the crowds. 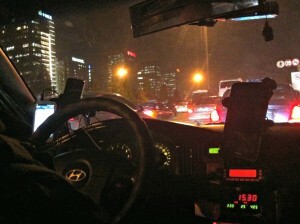 Usually, the cab driver is listening to music, or a talk show, on the radio and we go on our way. Most of them have one cell phone and use it for what most of use a cell phone for: calls, gps, emails, texting, etc. However, when i saw this cabbie’s get up, I had to take a picture. If you notice, he has two cell phones, with one lit up, and the other one dark on the left of the steering wheel. As if this isn’t enough, he has a 7 inch tablet on the right of the steering wheel. This guy is ready for anything! He also was incredibly knowledgeable about Beijing as there was horrible traffic and he took some side roads that no other cab driver has ever taken while I am riding with them. It saved me time, money and having to breathe in the bad air while we were waiting in traffic.